Born: 19 July 1868, Durham, England. Died: 28 June 1915, Pretoria, South Africa. Herbert Kynaston, geologist, was educated at the well-known public school at Eton, England, during 1882-1887 and in the latter year entered King's College, Cambridge. He was awarded several scholarships and other academic honours and qualified as Bachelor of Arts (with honours) in 1891. [His degree appears to have been upgraded to Master of Arts later, as the abbreviation MA often appears after his name]. His first field work was performed in Austria, where he studied the Cretaceous beds of Gosau and their fauna, publishing a paper "On the stratigraphical, lithological, and palaeontological features of the Gosau beds of the Gosau district in the Austrian Salzkammergut" in the Quarterly Journal of the Geological Society of London in 1895. In 1892 he was appointed as assistant geologist to the Scottish branch of the Geological Survey of Great Britain. There he did important work on the intrusive phenomena and metamorphism in the Old Red Sandstone, which was published as a memoir of the Geological Survey in 1900. He was elected a Fellow of the Geological Society in 1894. In 1902 Kynaston married Jeannie May Macgregor and they eventually had one son. On 29 December that year he was appointed director of the newly established Geological Survey of the Transvaal Colony, following the end of the Anglo-Boer War (1899-1902). He took up his position in February 1903. Other members of staff were the geologists E.T. Mellor*, A.L. Hall*, and later W.A. Humphrey* His first field work in South Africa was done in an area between the Pienaars and Elands Rivers and was described in his annual Report for 1903 (pp 3-6). With A.L. Hall* he also described "Diamondiferous deposits" that year (pp. 43-48). In 1904 the latter topic led to a paper, with A.L. Hall, read before the South African Association for the Advancement of Science, on "The geological features of the diamond pipes of the Pretoria district". It was published in the society's Report for 1904 (pp. 182-196). The next year he wrote a chapter on the "Geology of the Transvaal and orange River Colony" for the volume Science in South Africa (1905, pp. 273-300), published in preparation for the joint meeting of the British and South African Associations for the Advancement of Science in South Africa. His "Report on a survey of the Komatipoort coalfield" was published in the Report of the Transvaal Geological Survey for 1905, and as Memoir No. 3, 1906. Other contributions by him to the annual Report of the Transvaal Geological Survey included geological descriptions of a portion of the dolomite, Black Reef and granite area south of Pretoria (1904), the area north-west of Pretoria between the Magaliesberg and the Pretoria Salt Pan (1904), a portion of the Bushveld area south-west of Warmbaths (1905), an area north and north-west of Potgietersrust (1908), and a portion of the Waterberg district west and north-west of Warmbaths (1909). He also wrote explanations of the geological maps of the area round Pretoria (1907), the bushveld country north of Pretoria (1907), and the country round Potgietersrust (1911). However, his most important work was probably his study of the tin-bearing rocks of the Bushveld. A preliminary examination of the cassiterite deposits on Zaaiplaats and neighbouring farms in the Waterberg district was included in his annual Report for 1907, but his main contribution to the subject appeared in 1909, when he and E.T. Mellor* published "The geology of the Waterberg tinfields" as Memoir No. 4 of the Transvaal Geological Survey. After the formation of the Union of South Africa in 1910 Kynaston was appointed director of the Geological Survey of the Union in 1912. His staff then also included geologists A.W. Rogers* and A.L. du Toit*. Continuing his field work during the next few years Kynaston described in his Annual Reports the geology of a an area north of the Pilansberg (1911), and a portion of the Marico and Rustenburg districts north of the Dwarsberg (1912). During his career he published about 40 papers and reports, most of them on the geology and stratigraphy of the Transvaal, and contributed information for the compilation of various geological maps. His last paper was his presidential address to Section B of the South African Association for the Advancement of Science in 1915, on "Radio-activity in its bearing on geological problems". It was read on his behalf a few days after his death. Kynaston's work was characterised by great care and a strong sense of responsibility. Owing to his modesty and withdrawn nature he was not all that well-known outside the Geological Survey, but his courtesy, reliability, and consideration for others impressesed all who met him. He was a member of the Geological Society of South Africa from 1903 and served as its president in 1908. His presidential address, "The red granite of the Transvaal Bushveld and its relation to ore deposits", was published in the society's Proceedings for that year (pp. 21-30). He participated regularly in the discussion of papers read before the society, and several of his own papers were published in its Transactions. By 1903 he was a member of the South African Association for the Advancement of Science, served on its council for 1903/4 and 1904/5, and was elected president of Section B for 1915. In 1905 he also joined the South African Philosophical Society, and in 1908 became a Fellow of its successor, the Royal Society of South Africa. Anhaeusser, C.R. (ed.) A century of Geological endeavour in southern Africa, 1895-1995 (pp. 15, 116). Johannesburg: Geological Society of South Africa, 1997. Geological Society of South Africa. Proceedings, 1915, Vol. 18, p. xiii-xix: Past presidents, and List of members; Transactions, 1906, Vol. 10, List of members. 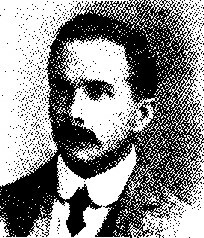 Herbert Kynaston. British Geological Survey. Retrieved from http://www.bgs.ac.uk/discoveringGeology/geologyOfBritain/archives/pioneers/pioneers.cfc?method=viewRecord&personId=87 on 2018-4-9. National Automated Archival Information Retrieval System (NAAIRS). http://www.national.archives.gov.za/naairs.htm Documents relating to Herbert Kynaston / H. Kynaston. South African Philosophical Society. Transactions, 1906-1907, Vol. 16 & 17, lists of members. South African Association for the Advancement of Science. Report, 1903, 1904, 1905/6, 1910, 1915. Transvaal Colony, Mines Department. Report of the Geological Survey, 1903, 1907, 1908. Union of Southe Africa. Public service list, 1914. Union of South Africa, Mines Department. Annual reports for 1910. Part IV: Geological Survey. Pretoria, 1911.